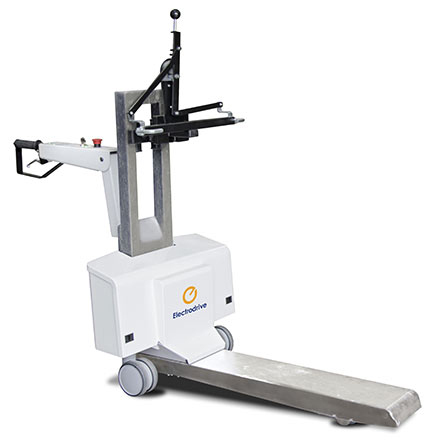 The Gzunda Linen Mover is a compact unit with a drive assembly that fits neatly under a linen trolley, incorporating a tiller style steering with versatile hitch options for attachment. Incorporating all of the features you would expect in an Electrodrive product, including a programmable controller, forward and reverse drive modes, variable speed control, automatic electromagnetic park brakes and emergency brake release, the Gzunda Linen Mover will help you effortless maneouver heavy linen trolleys through tight corridors, avoiding the risk of collisions. 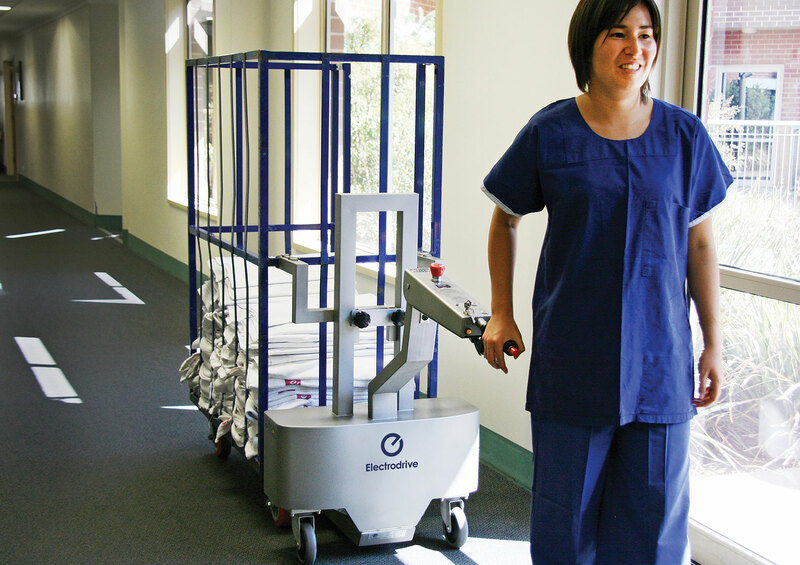 See how a linen mover can help keep you and your staff safe in your workplace.